All Foster City homes currently listed for sale in Foster City as of 04/25/2019 are shown below. You can change the search criteria at any time by pressing the 'Change Search' button below. "Buy now before the IPO $ come in! .Phenomenal updated water front home.The boats and ducks swim by as you BBQ on the patio.Spacious,sun drenched rooms.Tastefully upgraded,new floors,exterior windows,doors,baths,stair railings,quartz counters & stainless appliances.Walk into a large entryway that opens onto living room with high ceilings, fire place and step down cozy area. Bright dining room, chefs kitchen with a pantry opens onto family room.One of the largest homes in Foster City with 4 comfortable bedrooms.Walk to pool & playground. HOA covers exterior maintenance,landscape,fence,roof & common area insurance,& pool. HOA documents provided. Centrally located between S F, Silicon Valley and East Bay. Great Foster City schools. An abundance of jogging & bike trails and parks. Close to airport, shopping , restaurants, Caltrain. EZ access to 92 and 101 freeways, major companies (Visa, Gilead, Oracle, Electronic Arts, SalesForce, fitness clubs. Welcome home to paradise! Move in ready." "Stunning remodeled and move-in ready townhouse in a peaceful and tranquil location. Waterview from one guest bedroom. Completely remodeled throughout w/quartz countertops, custom cabinets, stainless steel kitchen appliances. Brand new modern laminate floor and interior painting. Recess lighting throughout. New paver stones in front and back patios. Side-by-side 2-car garage. HOA has pool, clubhouse, tennis courts, and covers building structure, water, sewer, garbage, and unit fire insurance. Close to walking trail by lagoon and walk to FC Elementary School & Edgewater Plaza. Easy access to HWY 101&92, in and out of Foster City, and all amenities." 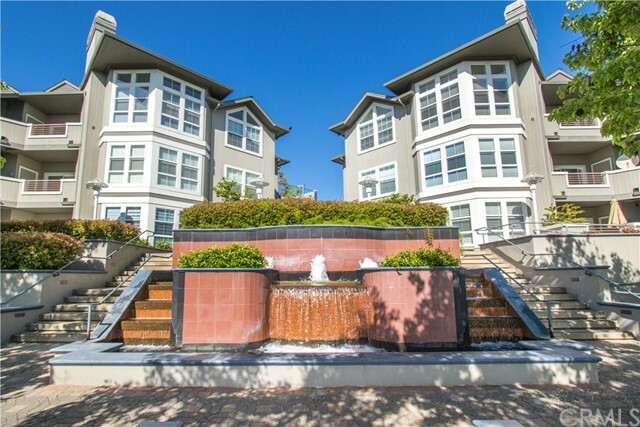 "Bright and beautiful condo on the top floor of the luxurious Meridian Bay community. Newly upgraded kitchen with quartz counter-tops, tile back-splash, and stainless steel appliances. Spacious and airy living area with high ceilings, huge windows, and an open floor plan. The lawn is perfect for a BBQ or relaxing with a book and a glass of wine. Community has several amenities including a pool, spa, sauna, gym, clubhouse, conference room and more. Come by and check it out for yourself!!"